Third Eye Blind at Wellmont Theater April 13 | Errols Weekly Music Update. Willie Nelson & Levon Helm at Radio City Music Hall on Wed. July 28. Pre-sale tickets for American Express cardholders go on sale today at noon until next Thurs. Mar. 11 at 10:00 p.m. General public on sale next Fri. Mar. 12 at noon. $49.50 – $129.50 (How ironic I wrote about Willie below and his show is announced last night-has to be a sign that I need to go to this show). Tom Petty at Madison Square Garden on Wed. July 28 and also at the Izod Theater on Tues. Aug. 24. General public tickets on sale Mon. Mar. 15 at 10:00 a.m. Further details to follow. Atoms for Peace at Roseland Ballroom on Mon. & Tues. Apr. 5 & 6. The information for this event has been all over the place, now the tickets will be sold through Live Nation tomorrow morning at 10:00 a.m. Now Live Nation for some odd reason doesn’t post prices but according to information on Ticketmaster’s site (oh yes I forgot these two are joined at the hip-good move Justice Department) last week the price per ticket is $48. Good luck on trying to get these tickets, if you do- you are good. Sugarland at PNC Bank Arts Center on Sat. May 22. Pre-sale tickets for Citi cardholders on sale now until 10:00 p.m. tonight. General public on sale tomorrow at 10:00 a.m. $32 (lawn); $42.75 and $56.75. Brooks & Dunn at the Comcast Theater on Fri. June 25. Pre-sale tickets for Citi card members on now. General public on sale tomorrow morning at 10:00 a.m.$28.25, $49 and $74.25. Yes & Peter Frampton at the Bethel Woods Center for the Arts in Bethel NY on Fri. June 18. Tickets on sale this morning at 10:00 a.m. $39.45 – $90.65. 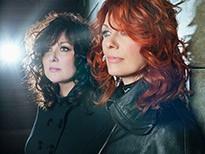 Pat Benatar & REO Speedwagon at the Bethel Woods Center for the Arts in Bethel NY on Sat. Aug. 28. Tickets on sale this morning at 10:00 a.m. $30.35 (lawn) $39.45 (rear) $49.70 – $70.15 (middle orchestra) $70.15 – $90.65 (front orchestra). Moody Blues at the Bethel Woods Center for the Arts in Bethel NY on Sat. July 10. Tickets on sale now. $39.00 (rear) $59.45 – $75.80 (middle orchestra) $75.80 – $100.35 (front orchestra). Alice In Chains at the MAC at Monmouth University (West Long Branch NJ) on Thurs. May 20. Tickets on sale this morning at 10:00 a.m.$45. Corrine Rae Bailey at Music Hall of Williamsburg on Tues. May 2. Tickets on sale today at noon. $32.50. Thirty Seconds to Mars at the Roseland Ballroom on Wed. April 21. Pre-sale tickets for American Express cardholders on sale now until 10:00 p.m. tonight. General public on sale tomorrow at 10:00 a.m. $32.49. The Fray at Borgota Event Center in Atantic City NJ on Sat. April 17. Tickets on sale tomorrow morning at 10:00 a.m. (Live Nation Event). Sublime at Roseland Ballroom on Sat. May 1. Tickets on sale tomorrow at 10:00 a.m. (Live Nation Event). The sound track for the new Johnny Depp movie –“Alice in Wonderland”- was released this week and I have to say that “Almost Alice” sounds pretty good (albeit from the 30 second samples on I-Tunes but some other tunes I went to “You Tube” to hear the entire versions). Of course one of my favorites-Shinedown- leads the charge with “Her Name is Alice.” (I saw a review by some dude in Toronto Canada and he said that Shinedown was a “3 Doors Down” clone and that tells me the man doesn’t know his music. I like “3” but these two bands are totally different). On another note, check out the cover of the great song-“White Rabbit”- (originally done by Jefferson Airplane) by Grace Potter & The Nocturnals. Their sound fits Tim Burton like a glove. Remember last year’s contestant on American Idol-“Danny Gokey?” Well he has put out a Country album and his debut “dropped” this past Tuesday. I did not know that he was going down this route (I was thinking more of an “R&B” thing) but again listening to both You-Tube videos as well as the 30 second I-Tune samples I have to admit that I like it. The most popular song right now is “I Still Believe.” Check it out. I-Tunes put out their top ten list of the most downloaded songs which include a couple that belong to the Black Eyed Peas featuring the number one of all time- “I Gotta Feeling” as well as the number 3 song with “Boom Boom Pow.” Lady Gaga squeezed into the number 2 spot with “Poker Face.” The very cool song “I’m Yours” by Jason Mraz finished fourth while Coldplay’s “Viva la Vida” rounded out the top five. I have four out of the top ten which appear in the top five, the only one I don’t have is “Viva.” (I’m still not there with Coldplay). My favorite “old school”song of the week has a hippie flavor to it-“I’d Like to Get to Know You”- by Spanky & Our Gang. Love when Elaine “Spanky” McFarlane breaks in with “Well I can’t promise that I’ll spend the day with you…” The music from the late ‘60’s was so freaking phenomenal you have to own this. Slipknot’s drummer-Joey Jordison– will play for Rob Zombie’s band while they tour during the spring and summer this year. Zombie’s band called him up and asked if he knew of a drummer and he jokingly said “What about me?” They made it happen. Pink Floyd’s songs, including “Wish You Were Here,” “Mother,” “Comfortably Numb” and “Hey You,” will be featured on the Mar. 21 episode of “Cold Case” on CBS TV. I love “Hey You”- (Yes I do like some Floyd songs). 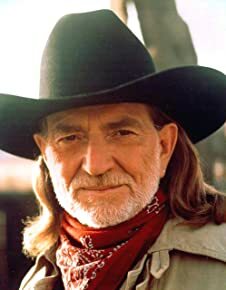 Recently I have listened to more and more of Mr. Willie Nelson and have become “enlightened” to this man’s unbelievable contribution to American music. Now some of you may be thinking-“How does he go from Metallica to Willie Nelson?”- But if you have been a reader for a while, I hope that I have put it out there that I am open to most all types of music. For those of you who know me, you may be saying “boy is he getting old or what?” (No offense meant to Mr. Nelson, it’s me they are picking on Willie). No just the opposite- I am finally getting wise or have finally seen the light. I freely admit that it could be my age because I know that I was not listening to Willie when I was in my twenties or even thirties. But as I enter the second half of the “forties” I think I finally get it. (Hey just like fine wine, it takes time). But as I have been also hammering away at is the fact that sometimes youth clouds vision and in this case it clearly has. Another thing I make known is that it’s never too late to discover music-new or old. Now I have always acknowledged and respected his contribution to music. My mother was a fan and she had to be because he wrote the song “Crazy” made famous by Patsy Cline, who was her favorite female singer of all time. So obviously I am not going to sit here and tell you that I know his entire library-again just the opposite- I will tell you the songs that I think are great and look for the die-hard fan to post comments on what albums/songs that I should further explore. Another message is to all the “youngsters” out there (18-39) “don’t be like me” and take the time now to listen to one of America’s greatest treasures. Now it’s not that I didn’t know his songs, I mean every one has to know “On the Road Again” or “Always on My Mind,” right? By the way, my oldest son and I go back and forth all the time on “Always” as I say that his version of the song is the best but he insists that the Elvis take on it, is better. (We have a similar disagreement on “You Don’t Have to Say You Love Me” where I feel that the only version to listen to is by Dusty Springfield but again he goes with Elvis-at least this should make his grandfather happy, right?). Getting back to “Always on My Mind,” when I hear the opening notes on the piano I become frozen in time-I don’t want to do anything but focus on the beauty of this song. Now some may say that they don’t like his voice (it did take Willie a while to get a recording contract because there was some doubt about his singing voice) but there is absolutely nothing wrong with his pitch, tone or anything else on this flawless version. (Hey I have stated more than a few times, I am not the biggest Dylan fan but even I admit there are songs that he really can sing and should only be sung by him). Take a listen to his first number one hit-“Blue Eyes Crying in the Rain”- (a cover which was written by Fred Rose) and tell me the man can’t sing? Wow this is a spectacular song which was a hit for him in 1975 and it’s 2010 and I am finally getting around to this, shame on me but like I always say-it’s never too late to discover music: that’s what it is all about folks-music is food for the soul and sometimes you need to look at different choices on the menu. (Hey I despised eating fish as a child and in my early twenties but then something clicked and I now love it). If you don’t mind I will just keep naming songs that I have been listening to for the past few months that again have opened my eyes. Now to all his “die-hard” fans a song like “Uncloudy Day” would be the equivalent to “My Way” by Frank Sinatra- a staple of his repertoire, right? Now I love the guitar work by Willie in this song and not for nothing I can picture sitting around a campfire singing along to this tune. “Oh they tell me on an uncloudy day…” Now with country music there is usually a story and some times the songs are slow and sad but yet it still feels good and right. Willie has a knack for this, especially writing a most famous song by Patsy Cline- the aforementioned “Crazy” which fit Patsy like a glove and she had a way of singing that would rip your heart out but yet I can’t stop listening to those types of songs. Actually Willie’s version of “Crazy” is very good and is something I do not skip over. (Usually if I like another artist version of a song, I won’t even listen to anyone else’s rendition). Willie also performed another song made famous by Patsy-“Faded Love”- which he sings along with Ray Price and I have to tell you-this one is close to being as good as the version that Ms. Cline sings. Both versions make you stop in your tracks and pay attention. “I miss you darling more and more everyday…” –again there’s that pain and heartache that Willie is so good at singing about and I absolutely love the way he plays the guitar on this track-pure perfection. Keeping on the theme of songs that he wrote that were made famous by others- how about “Pretty Paper?” This spectacular song was made famous by the legendary Roy Orbison and is definitely in my top ten songs of all-time. Now as a listener we tend to forget the writer behind many of these great songs and in this case I automatically think of Orbison (rightly so) but all these years I have never thought about Nelson and that is a mistake. Believe me, from now on I will always remember that he wrote it when I hear it. Now, with no offense to Willie, I only listen to Orbison’s version (not even Raul Malo’s version does it for me). Getting back to the songs I have delved into the last few months- how about the enchanting “Angel Flying Too Close To the Ground” from the movie soundtrack “Honeysuckle Rose.” Love the guitar work it really puts me in a trance and this quickly has risen to the top of my favorite songs by Willie. I must have listened to this song like a hundred times in the last month. How about the Hank Williams sound alike-“Hello Walls”- I don’t know why but that is who I am reminded of when I hear this song. This song puts you in a good place, so traditional such a nice sound that it brings you back to the days of “Andy Griffith,” well for me anyway. Love it. “Funny How Time Slips Away” is gentle trip down memory lane as again the pain bleeds through the speakers and this type of music pulls me in-hook, line & sinker. I become mesmerized. Actually I remember seeing him & Johnny Cash perform this song on VH1 Storytellers back in 1998. Or how about the “honky-tonk” like “The Party’s Over”-c’mon folks this is classic stuff- yes I know I just discovered it but I knew instantaneously that it was “classic.” And the lyrics hit home for many men across the country as too much partying usually ends a relationship. “Life for me was just one big party.. I broke her heart so many times.. had to have my party wine…” The slow rocking groove of “Shotgun Willie” has to move your body-you can even have a slow “head-banging” thing going and you will be “air-guitaring” to this “funk-a-fied” tune. Willie creates this fusion of country, blues, “rockabilly” and jazz like sounds that have been engaged by so many artists. “Forgiving You Was Easy” is another sad, heartfelt song and just like many country songs, this too has a story behind it. “Forgiving you was easy but forgetting seems to take the longest time..” The song “Night Life” again reminds me of Hank Williams and sounds like it was recorded in a room with the door closed. The beginning actually reminds me of the guitar work of George Harrison, Willie does a nice job performing his own “Zep” where he sings then plays the guitar throughout. Have you heard the knee slapping “Stay All Night (Stay A Little Longer)?” Boy this stuff is so good, like a sweet cool refreshing slice of watermelon on a hot summer’s day. You can eat up all these songs and not gain weight. How great is that? This one should be on your menu. “Time of the Preacher” is a phenomenal tune that kicks off one of his greatest albums (according to many)-“Red Headed Stranger.” I guess this is the album that kicked off his “outlaw” image. Folks this is good stuff right here. Now I could go on & on, so I will a little more and name some songs that he didn’t write but he put his stamp on with his style of singing and playing guitar. And the first song that comes to mind is the aforementioned “Always on My Mind” (see above) but the second one that I think of is “All of Me” from the “Stardust” album. Wow there is something about this song that totally knocks me out. I know I have heard others sing it but this version is the best. “My Heroes Have Always Been Cowboys” was meant for Willie, who better to sing about cowboys than Mr. Nelson? I can honestly say that I won’t listen to anyone else’s version but Willie, it’s that good. Then what about the “duos” that he has done? How many artists has this man worked with? Probably more than any artist in the history of music-he crosses every genre even doing a “My Medicine” with Snoop Dogg. He even played with the legendary Wynton Marsalis. C’mon no one plays with him, he’s a whole entire segment of music history in jazz by himself and who cooly just played along with him like they were jamming in a garage-Willie. If you are an Aerosmith fan you have to hear the song he recorded with Steven, Joe & the rest of the boys-“One Time Too Many”- is a country rocking song that could be played at every “country” club in the country and I guarantee every one will be “line dancing” in no time. Willie’s vocals mixed in with Tyler is like those “sour tarts” that you eat but I bet you just can’t eat but one, right? You keep going for more. This song will knock your socks off. Now of course I would be remiss to not include his favorite partners in Waylon Jennings, (“Mama Don’t Let Your Babies Grow Up to Be Cowboys”) Kris Kristofferson and Johnny Cash as well as countless others in the country circle. Or how can I leave out John Mellencamp or Neil Young who joined Willie to start the infamous “Farm Aid?” The accolades for this American treasure can go on forever. I am just glad that I finally jumped on the bandwagon and now I have to see him live, which I think I will purchase tickets today for his show in July. I can then say I saw another music legend. Thanks Willie for all that you have done for the world in your song and charity work, I salute you!! 10. Little Queen-Is this classic Heart or what? This is what rock and roll is all about. You can hear the “rawness” is Ann’s voice as she digs down deep with this groovin’ track. This is “Led Zeppelin-esq” as one could picture Robert Plant and Jimmy Page going back and forth on this track. Ann is just way too cool on this song, you need to have this in your music library-this is smokin’!!! 9. Alone-Yes this is the “power ballad” Heart but sometimes you have to recognize greatness even if it comes in a “bubble-gum wrapper.” “Whew”- is all I have to say when you listen to the phenomenal vocals of Ann Wilson on this tune. I laugh when many of the American Idol contestants try to do this song and I agree with Randy when he tells them “Yo Dog.. that song is too big for you..” A word of advice to the future contestants- just walk away from this song. This is one of those songs that should have a sign on it-“Do Not Attempt” because no one will ever sing it like Ann. I’m sorry, this lands in the category of “American Pie” where there should be a law against “covering” it. 8. If Looks Could Kill– This song reminds me of my wife as she would sing this song (as well as others) word for word in our long car rides to anywhere (hey we live in the “boondocks”, so most all trips is a minimum of 45 minutes). She sings it with such passion trying to match Ann’s fervor and like I always say- I love to see when people are totally into a song, for some reason it gets me so psyched up. Anyway I found myself putting this track on in my car when I would drive alone and I love the hard rocking sound, it has a real edge, before I knew it, this had become one of my favorites as well. 7. Who Will You Run To– There is something about this song that keeps me coming back for more. Is it one of their best songs; probably not. Is it one of their more popular song, again, probably not but for me, it is the arrangement as well as Ann cool vocal style. In the beginning of the song, her octave is lower and then she turns up the heat and hits those trademark notes that make you stare in awe. She takes it up and down throughout-love the part where she exclaims-“You can tell the whole wooorrlllldd…” The guitar work that follows Ann’s vocals throughout is the icing on the cake, I can listen to this song over and over. 6. Will You Be There (In the Morning)– Hey take a listen to Nancy’s vocals as she takes the lead for this beautiful song. Yes I’ll admit it- I sway my head back and forth (like the American Idol audience who sway their arms back and forth high above their heads) to this song and try to sing like both Nancy and Ann. Their voices together create one of the best harmonizing sounds heard in the world today. You can’t but help sing along to this song, it is very pleasing to the ear. This is an uplifting song and a smile breaks out on my face every time I hear it. Awesome tune. 4. Straight On-Love the bass in this song as it provides the funky cool groove that makes your body gyrate across the dance floor (or the living room floor, that’s my choice of “floors.”) This sort of has a slight tinge of the blues with a twist of R&B and the vocals are what brings the song home. “What the winner.. the gambler understands…” – I love that part and have to rewind it many times. Heart makes you want to sing along to their songs-“Coming straight on for you.. straight on, straight on for you..” Watch out because this tune will knock you out. 3. Crazy On You-Do you have those songs where when you hear it, you feel at “home”-meaning it brings you to a good place-this is one of the songs that does it for me. I love the acoustic beginning (because you know what lies ahead) and as Nancy comes to the part where it sounds like she is going to stop playing at she hits that last note but then you hear the strumming of those acoustic strings as the electric guitar strolls in to give it that flavor of your favorite meal-do you know what I’m talking about? Sometimes music can be like food and in this case, the song is “comfort” food-think “chicken pot pies”-or whatever gives you comfort. Anyway this track has to be considered one of the best rock songs ever, a masterpiece. 2. Barracuda– Ok to all of you out there that say I leave off the “best” songs on my lists, well what do you have to say now? There-“Barracuda”- made the list. Honestly how could it not? Now I know we all have heard this song zillions of times over the years but I’ll use Ed’s argument-this is “ground-breaking” stuff right here, there is no denying this fact. And oh by the way how friggin’ psyched does this song get everyone? They had everyone on the opening guitar licks (now again “props” go out to the other musicians on all these tunes as they were part of this historic song). If you have never seen this performed live, you are truly missing out-talk about a “head-banging” tune. Wow it’s like a “religious experience” to see so many people truly rocking out to the max as it is a prerequisite to “air-guitar”- if you are not, please leave and try not to let anyone see you exiting; if someone does, make believe you have to go to the bathroom by holding your pelvis area. (For a while members of Alice In Chains played with Heart and I saw them perform this song and it was unreal). There have been more than a few times on TV the last few years that this song has been “covered” and last year (or the year before) Ann & Nancy performed it on American Idol along with Fergie and they brought the house down, in my opinion. Again this is an American classic, a historic song. 1. Magic Man-I remember being a teenager and thinking that this was the coolest rock song ever made. I thought I had found a buried treasure and still think that, although there are many other people along side me flicking up the gold coins in the air from the chest lodged up on the water front. This is their prime masterpiece. C’mon you all know that you love the guitar solo as well as the keyboard/synthesizer solos that define this song. I have “air-guitared” and “air-keyboarded” to this track so many times; it could be the most for any song I have ever listened to. The guitar work is flawless throughout and the groove makes me picture a snake coming out of a vase. (remember that Abbott & Costello movie?) I would have loved to been in the recording room when they had nailed this song down, can you imagine having a set of headphones, sitting at the control board, listening to this “magic”-al experience? At the end of the song I would have threw off the headphones and jumped as high as I could toward the sky (as if the Jets had just won a Superbowl for those of you who know me) and given everyone high fives and hugs. Then after that I would have thanked them for letting me be part of history-totally awesome tune. \m/ \m/. 1. What is the supposed story behind “Barracuda?”-meaning why did Ann write it? 2. True or False: Izzy Stradlin played with Heart? 3. How many Grammy’s has Willie Nelson won? 4. Willie was part of the “Highway Men”-name at least two other members? Sadly back on this day in 1963, Patsy Cline died in a plance crash near Camden, Tennessee along with country stars Cowboy Copas and Hawkshaw Hawkins. She was only 30. Sadly back on this day in 1982, John Belushi (Blues Brothers) died of a drug overdose. He was only 33. Back on this day in 1955, Elvis made his first television appearance, on the “Louisiana Hayride” program. Back on this day in 1960, Elvis was discharged from the U.S. Army. Back on this day in 2002, The Osbournes premiered on MTV. The first season of that show was the most watched that MTV has ever had. If it is your birthday today, you share the same birth date with the late Andy Gibb (he would have been 52) and John Frusciante (former? Guitarist for Red Hot Chili Peppers).